India's surging demand for thermal coal will draw in 1 million to 2 million tons of Russian supply for the first time in 2011 to compete with South African and Indonesian coal, Indian importers and Russian exporters said. 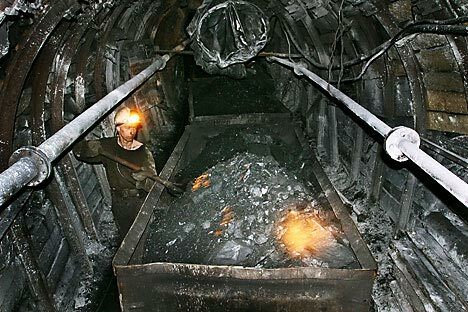 Although Russian coal is likely to remain a minor part of India's projected 140 million tons of imports for 2011 and 2012, India has become a key growth market and has started to import Russian material for the first time this year, Russian exporters said. So far this year, India's biggest trader importer, Adani Group, has bought two Capesize cargoes of Russian coal, a few smaller traders have booked several Panamax cargoes, and others are in talks for 2011 supply with Russian sellers. "Around 1 [million] to 1.2 million tons of Russian coal could go to India this year," one major Russian exporter said. Other Asian buyers such as South Korea and Taiwan will currently pay higher prices than India, he said, and China is also likely to pay more when buying resumes.